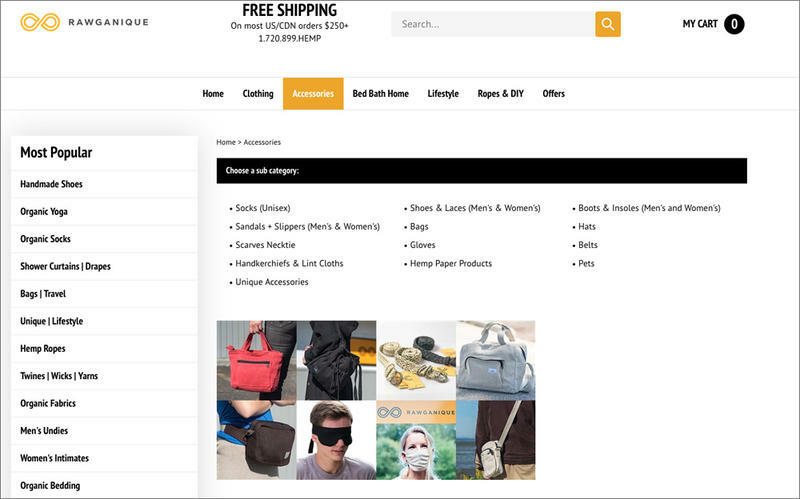 Online retailer Rawganique specializes in hemp and organic cotton clothing and home products. Since recreational marijuana became legal in Washington state and Oregon, the booming industry has been having having trouble accessing the banking system. And now a hemp fashion retailer in Blaine, Washington, is having the same problem. Rawganique is a small online retailer that specializes in hemp and organic cotton clothing and home products. Earlier this month, Portland-based Umpqua Bank notified the retailer that its merchant account would be terminated because it operates in a "excluded line of business." Rawganique co-founder Qeanu Klaus Wallner said the bank displayed "ignorance" about the difference between marijuana and hemp, the latter of which won’t make you high. "It has been never been illegal to sell hemp products in the United States,” Wallner said. “People don't know that. People think that because marijuana is banned and industrial hemp growing was banned. Hemp products have always been legal." Umpqua Bank told Wallner it is obligated by federal financial oversight rules to avoid marijuana-related businesses. Wallner said Thursday he shopped around for another bank and got a "no" from U.S. Bank and a deferral from Banner Bank before successfully switching to Washington Federal this past week. A spokesperson for Umpqua did not immediately respond to a request for elaboration on its side of the story. While Oregon, Washington, California, Alaska and other states have legalized marijuana for adult use, it remains an illegal controlled substance under federal law. A 2014 memo from the U.S. Justice Department provided guidance to prosecutors, bankers and the evolving cannabis industry. "Financial transactions involving proceeds generated by marijuana-related conduct can form the basis for prosecution under the money laundering statutes," Deputy Attorney General James Cole wrote. Cole did not mention hemp by name anywhere in the guidance memo, the gist of which was to urge law enforcement to focus on activity that funnels revenue to criminal gangs and cartels or exacerbates other public ills. 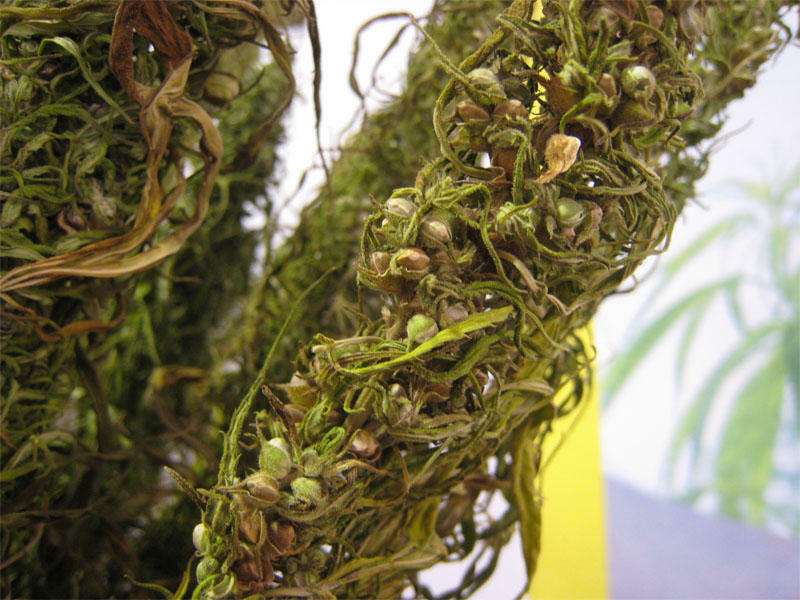 Until recently, federal law did not distinguish between cultivation of marijuana and industrial hemp because they are related forms of the cannabis plant. 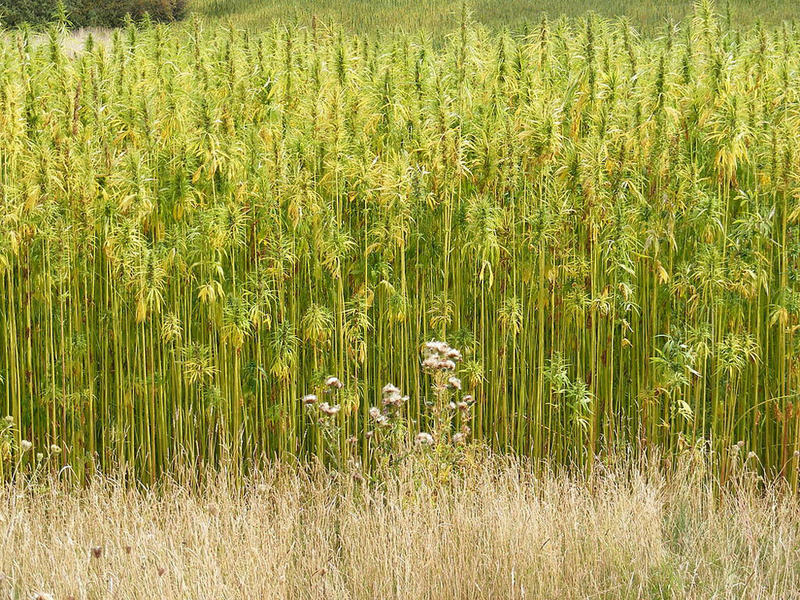 The 2014 Farm Bill opened the door for legal hemp farming as long as strict protocols are followed to ensure the hemp contains no more than trace levels of hallucinogens. All the while, trade in processed hemp products with no possibility of abuse—such as hemp fiber, hemp oil and food ingredients—was legal in the U.S. Large consumer products companies such as Nature's Path (hemp granola), Dr. Bronner's Magic Soap (hemp oil soap) and Levi's (hemp clothing) sell hemp products. "If the bank really were applying a rule that they couldn't do business with anyone who sells hemp products, then they would have to close down all the accounts with grocery stores, body care stores and a lot of things," Wallner said. "So that's absurd." Rawganique was founded in 1997 on rural Denman Island, British Columbia. The company's office and warehouse are now in Blaine, Washington, just south of the U.S.-Canada border. Wallner said Rawganique started banking with Umpqua in 2015 and never hid the fact that it did business in hemp products. There were no problems until this month. Industrial hemp entrepreneurs in Colorado have also publicized banking troubles, including having funds frozen and being kicked off the PayPal online payment system. At least one online retailer of Colorado-made hemp products started using the virtual currency bitcoin as a partial solution. Wallner said he previously encountered "discrimination" against hemp businesses when shopping for insurance. He said multiple insurers turned him down before he found one who would sell him a policy. This week, Umpqua Bank contacted Rawganique and our reporter to say it had reevaluated its decision to drop the hemp retailer and would like to continue their banking relationship. Since receiving the termination letter in October, Rawganique's co-founder clarified that the company does not grow hemp even though the website implied that it did. Growing the cannabis plant appears to be a red line for federally-regulated banks. Meanwhile, the bank Rawganique chose to replace Umpqua called the online retailer to say the account it had just opened would be closed with two weeks' notice. In a press release Wednesday, Rawganique said Washington Federal gave no explanation. In an email exchange with public radio, Rawganique management did not seem inclined to stay with Umpqua, but rather was searching for a credit union that would accept its business. Hemp advocates have launched a renewed bid to make hemp farming lawful in Washington state. 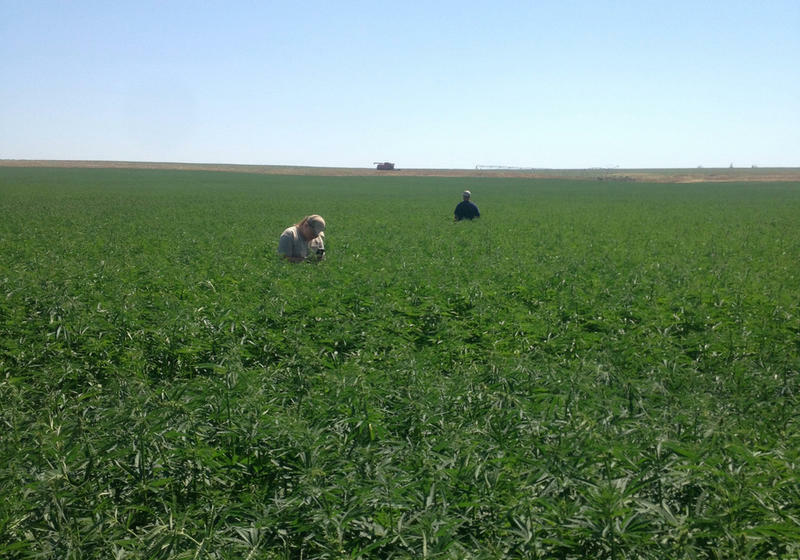 Oregon farmers planted the state’s first legal crops of industrial hemp a couple of years ago. Now the first Washington state farmer to plant the non-drug cousin of marijuana has harvested the crop. Hemp entrepreneur Cory Sharp is fairly happy with Washington’s first legal crop in almost 90 years. His farmer partners harvested 105 acres earlier this month from irrigated fields near Moses Lake. But the celebration is tempered because the crop is unsold. 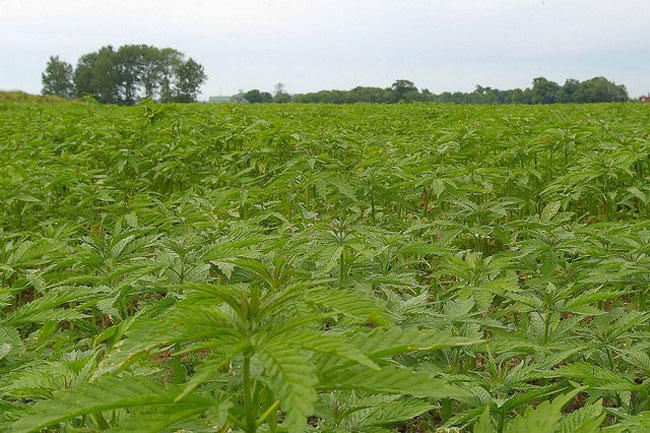 Now that it's legal in Washington state, a handful of farmers and the Colville tribe have submitted applications to grow industrial hemp. On Tuesday, Moses Lake will be the scene of a "first planting" demonstration of the non-drug cousin of marijuana.